Flying Eagles' opponents in Saturday's CAF U-20 AFCON qualifier, Burundi arrived in Calabar at 2pm Thursday for their Second Leg, Second Round match billed to hold at the U.J Esuene Stadium. Media Officer of the Nigerian team, Wale Ajayi said the visitors were immediately lodged at Tinapa Resort, same hotel the Flying Eagles are also camped. Nigeria won the First Leg in Burundi 1-0. The winner will qualify for the third and final round of the qualifying series for a place at the 20th CAF U-20 Africa Cup of Nations to be hosted by Zambia from February 26 to March 12, 2017. Flying Eagles coach, Emmanuel Amuneke who led the team to Burundi a fortnight ago where they defeated the Burundians 1-0 in the first leg match said his boys needed to work really hard to be able to win the Saturday's second leg match. "We won the first leg in Burundi but the return leg will be more difficult and we really need to work hard without underrating our opponents. But what I can assure is that we will do our best to win the match," Amuneke said. 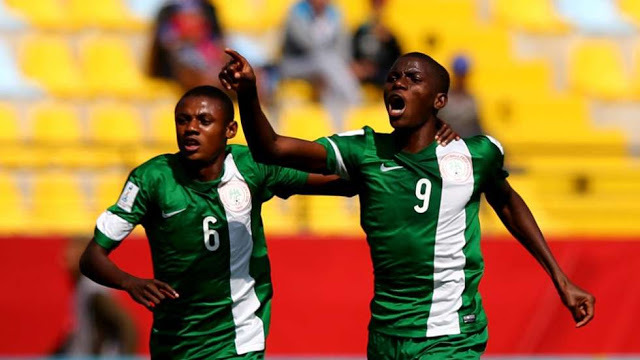 The Nigeria U-20s played a 1-1 draw with Unicem Rovers in their buildup game on Wednesday. Amuneke has also assured that the players have learnt from the mistakes they made in the friendly match. The match will be played at 4pm on Saturday.